For Christmas I recieved 3 great books to help me teach writing craft, teach the context of writing with grammar, and revision. I love books and I think these titles would be beneficial to any teacher who teaches English and writing. This book is my favorite out of the three. It presents the lesson with examples and non-examples of elaboration or craft then gives practice. After practicing there is applying the knowlege learned. I highly recommend this book if you want help with teaching elaboration and craft. 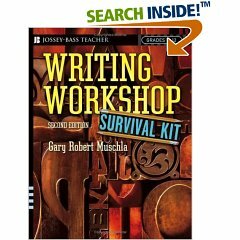 This book is packed with anything you need to know on creating a writing workshop to managing your writing workshop. 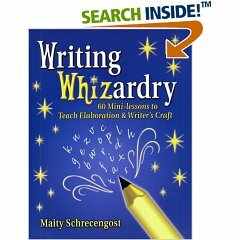 It also includes 100 mini-lessons that focus on the types of writing, writing techniques, and the mechanics of writing. This book is an unique way to teaching the parts of speech with the context of writing. This is an easy way to start teaching grammar in the context of writing. 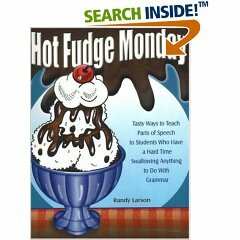 The book includes reproducibles that are not like worksheets you get with your grammar textbook. After practicing the skill, students apply the lesson with writing. I can’t wait to start the new year off with my new great finds. I hope these books help you too! 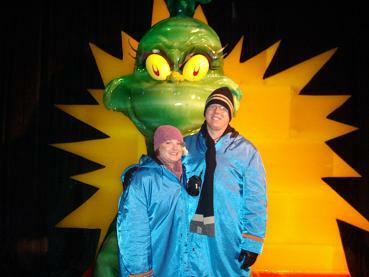 That’s what I was saying today while going through Ice: The Grinch Who Stole Christmas exhibit at Opryland in Nashville Tennessee. 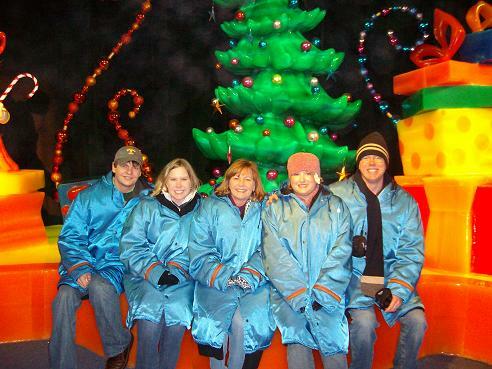 (check out the video tour) Tony’s mother took us to see the Radio City Rockettes last night and today we went into a frigid 10 degrees to see Ice, not your ordinary ice sculptures exhibit. It was so neat. The theme was the Grinch and everything was decorated like Dr. Seuss. After completing the exhibit, my body took at least 30 minutes to thaw out! Cold was an understatement! 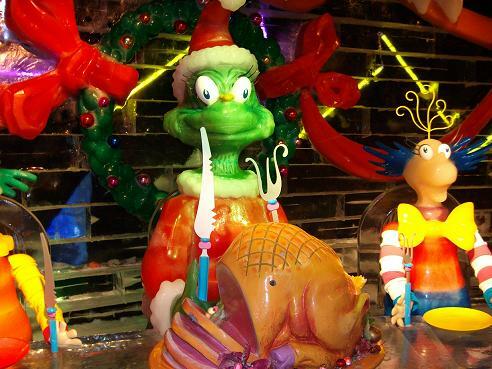 The Grinch and Who People were made out of ICE! 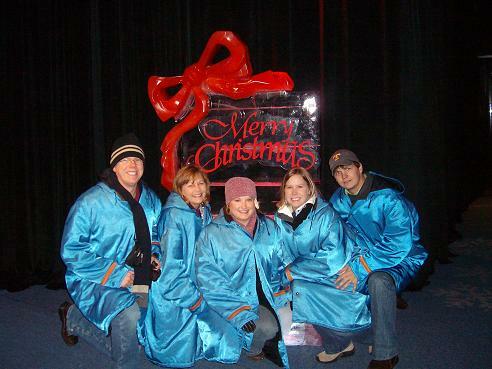 Merry Christmas from Tony, Janet, Andi, Christy, & Tom! 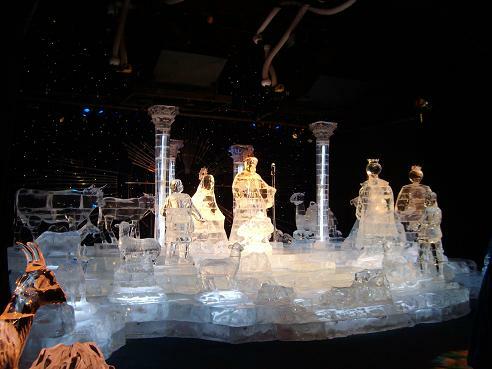 The Nativity Scene at the end was gorgeous! A recording told the story while Joseph, Mary, & baby Jesus lit up. Have a safe holiday. I’ll be back after the holidays; we’re going to my mother’s home in Kentucky! 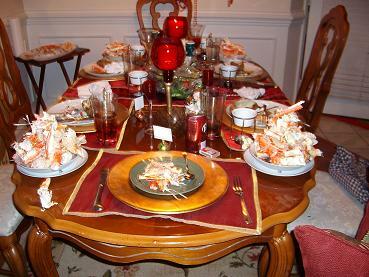 Every year Tony’s mother boils crab legs for their Christmas meal. 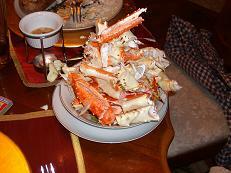 Last night we devoured approximately 10 pounds of King Crab legs. They were scrumptious! There was an array of foods: shrimp cocktail, peanut butter blossoms, twiced baked potatoes, and salad. Boy, I was full when we were done. Tony and my brother in law kept going once everyone else stopped. Take a look at his crab tower! 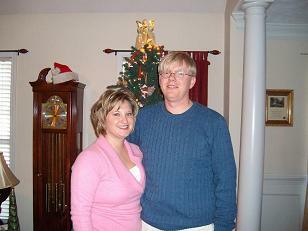 Last night my husband and I celebrated our Christmas. He did well! I got a pink camera with case and a pink MP3 player. 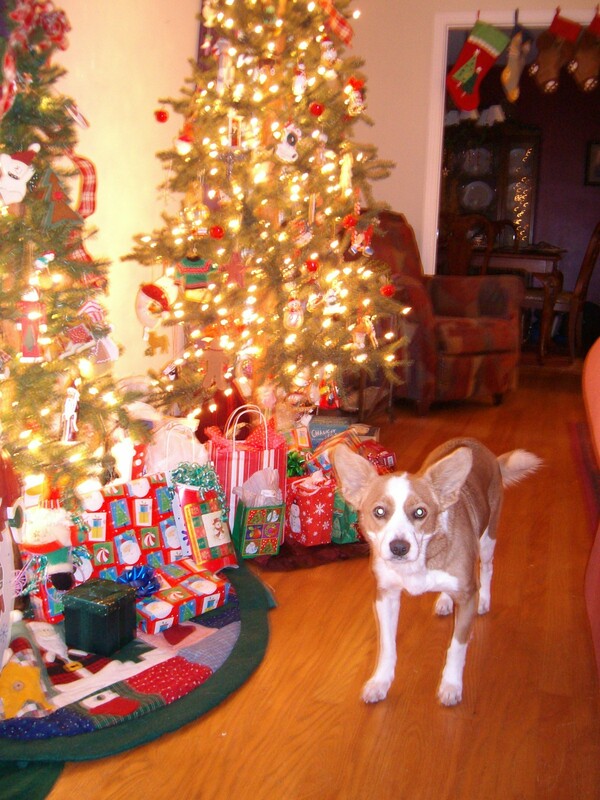 Enough about me; my dogs love Christmas too. 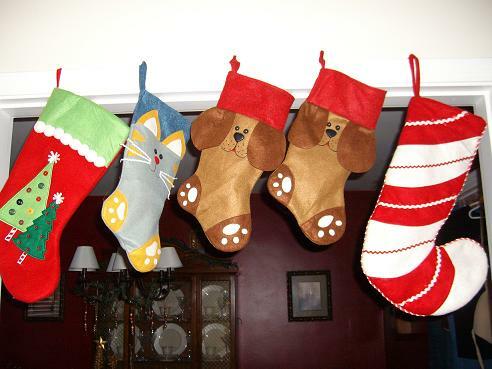 We have a stocking for each of them and we give them a special Christmas dinner while we eat ours. 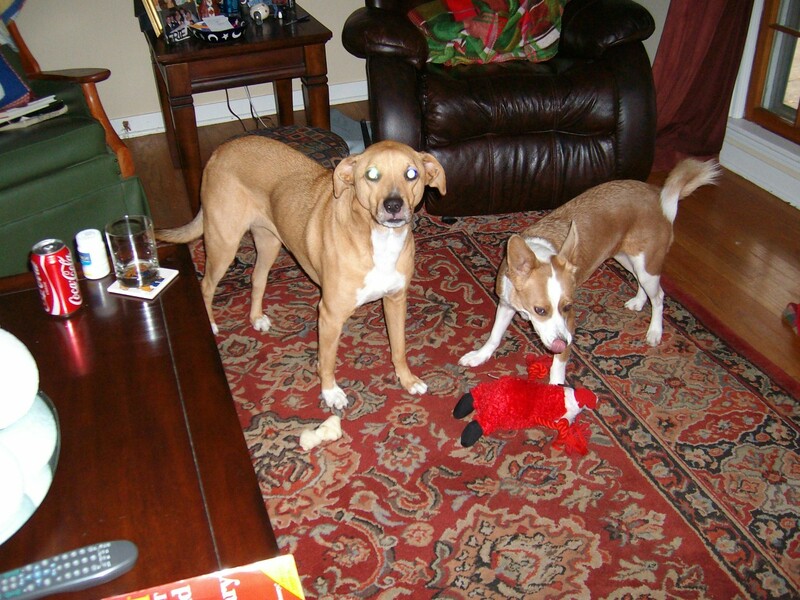 This year my babies recieved new beds, which they love, bones, beggin strips, and a cool new toy. 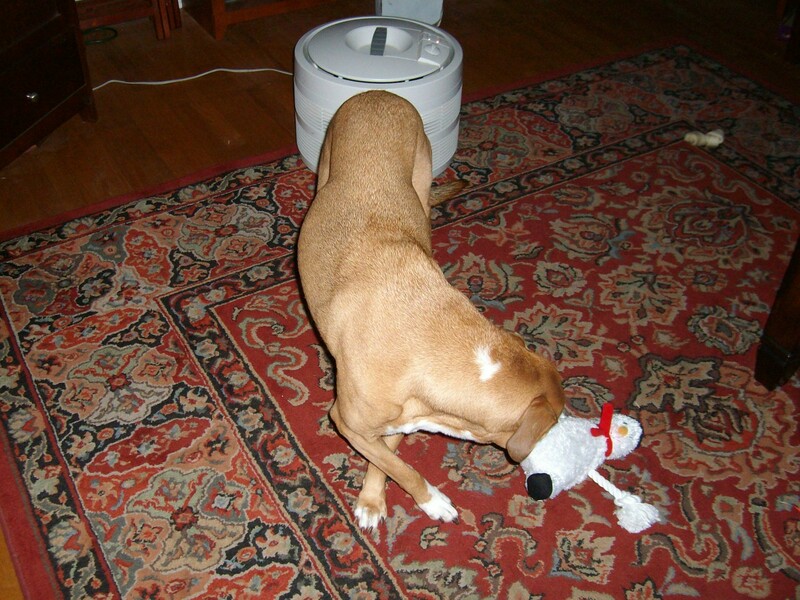 Mimi got a Santa and Belle got a snowman. Mimi seems to like hers a lot better. They have plastic bottles in them instead of squeekers. 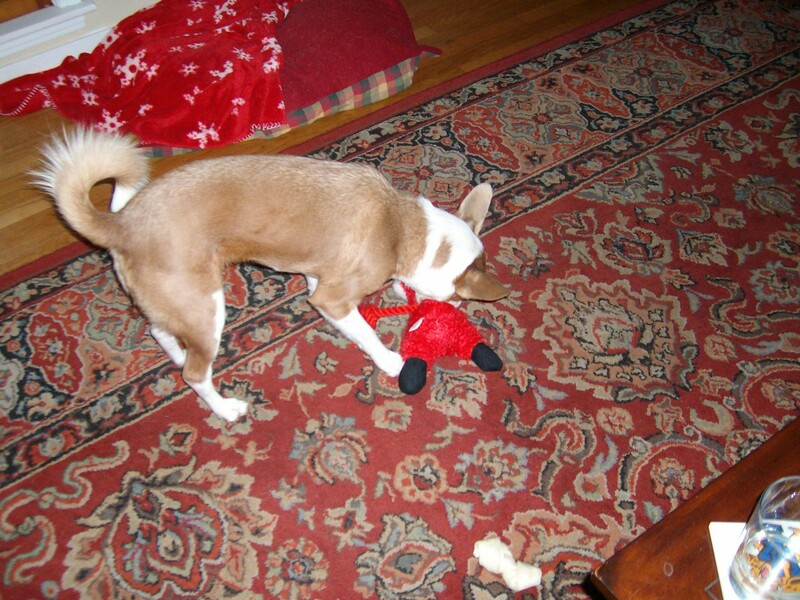 Mimi has almost torn her Santa to shreds. 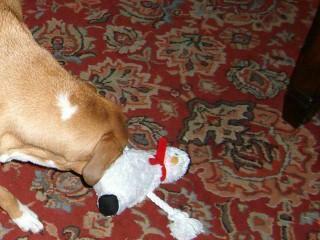 She has even tried to get Belle’s snowman. Belle doesn’t care; she likes the bones the best. It’s fun to see their faces light up when they know they are getting something new. As a child my mom and I baked cookies: sugar cookies with homemade icing, chocolate chip cookies, jelly cookies, and so many more. Now I carry on the tradition with my husband. Each year since we’ve been together we have baked the traditional cookies from scratch. Well, this year we have scaled it down to cookie mixes, but I am not sad because the whole point of the cookie tradition is spending time with my honey bunny! Tonight we’ll make dinner together, bake cookies, and open our gifts to each other. We like to open our presents together without family and because we’re booked up with family, we’re celebrating it tonight. I can’t wait to spend time with my husband. Being home is comforting in its self. I look forward to spending time with my family, eating baked goods, opening presents, and laughter. Home brings back so many memories. I can remember as a child the anticipation of Christmas because of all the gifts under the tree, but now it’s the anticipation of spending time with my family. Since my parents moved away 3 years ago, I don’t get to spend as much time with them as I would like to. Don’t get me wrong; I do like getting presents, but for some reason this year it’s about spending time with my loved ones and giving them a wonderful Christmas. 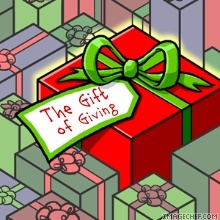 Giving is just as comforting as being at home. Enjoy your holidays!